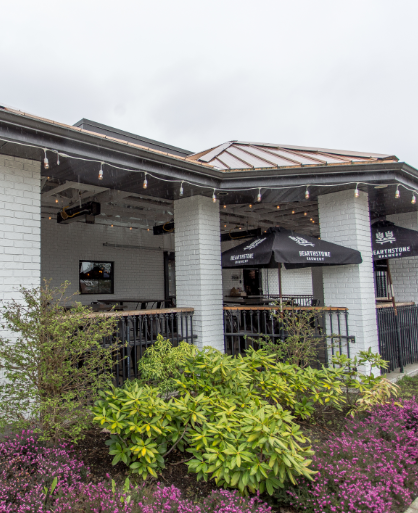 Welcome to Witchcraft Beer Market and Bistro, home of the finest selection of regional craft brews and fresh-from-the-forno menu anywhere around! We want you to feel right at home with us, so we’ve put our hearts into creating the type of place we ourselves would want to hang out. The atmosphere is relaxed but welcoming, with rustic ambiance, live music and smiling faces to welcome all comers. Canucks fans will fit right in! We are guided by a central philosophy that respects the time-honored heritage of food preparation while updating our menu to reflect the modern tastes and sensibilities of our discerning customers. Our menu features an impressive selection of savoury hardwood-smoked options fresh from the forno. Whether you’re going for a sandwich or comfort food, we’ve got you covered. We are vegetarian-friendly, and offer gluten free options. Our beer menu is designed to compliment the rustic quality of our food. We guarantee you’ll be able to find something that satisfies your palate. While we’re proud of the sense of community we’ve worked hard to build, we’re just a single establishment. We collaborate with our sister locations to make our area a better place to live in. Springs Group Goes GREEN GREEN GREEN for St. Patrick’s Day! NOW HIRING! Visit Springs Group at the Maple Ridge Career Fair!